A rights issue is an offering of rights to the existing shareholders of a company that gives them an opportunity to buy additional sharesStockholders EquityStockholders Equity (also known as Shareholders Equity) is an account on a company's balance sheet that consists of share capital plus retained earnings. It also represents the residual value of assets minus liabilities. By rearranging the original accounting equation, we get Stockholders Equity = Assets – Liabilities directly from the company at a discounted price rather than buying them in the secondary marketSecondary MarketThe secondary market is where investors buy and sell securities from other investors (think of stock exchanges). For example, if you go to buy Apple stock, you would purchase the stock through a trading exchange, from investors who already own the stock, rather than Apple. Apple would not be involved in the transaction. 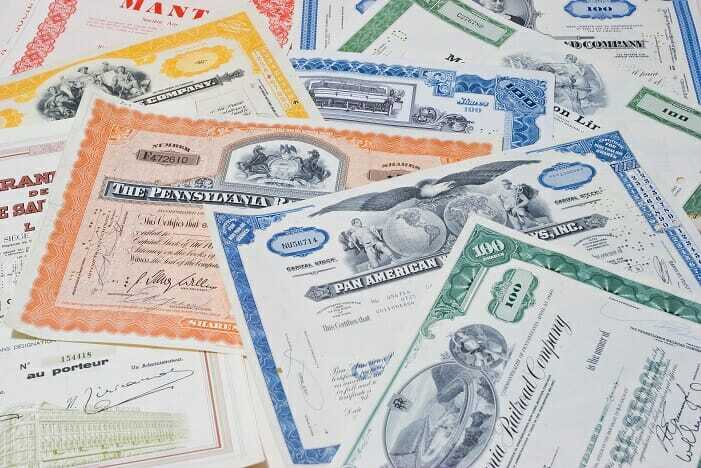 The number of additional shares that can be bought depends on the existing holdings of the shareowners. Companies undertake a rights issue when they need cash for various objectives. The process allows the company to raise money without incurring underwritingUnderwritingIn investment banking, underwriting is the process where a bank raises capital for a client (corporation, institution, or government) from investors in the form of equity or debt securities. This article aims to provide readers with a better understanding of the capital raising or underwriting process fees. A rights issue gives preferential treatment to existing shareholders, where they are given the right (not obligation) to purchase shares at a lower price on or before a specified date. Existing shareholders also enjoy the right to trade with other interested market participants until the date at which the new shares can be purchased. The rights are traded in a similar way as normal equity shares. The number of additional shares that can be purchased by the shareholders is usually in proportion to their existing shareholding. Existing shareholders can also choose to ignore the rights; however, if they do not purchase additional shares, then their existing shareholding will be diluted post issue of additional shares. When a company is planning an expansion of its operations, it may require a huge amount of capital. Instead of opting for debtSenior and Subordinated DebtIn order to understand senior and subordinated debt, we must first review the capital stack. Capital stack ranks the priority of different sources of financing. Senior and subordinated debt refer to their rank in a company's capital stack. In the event of a liquidation, senior debt is paid out first, they may like to go for equity to avoid fixed payments of interest. To raise equity capital, a rights issue may be a faster way to achieve the objective. A project where debt/loan funding may not be available/suitable or expensive usually makes a company raise capital through a rights issue. Companies looking to improve their debt to equity ratio or looking to buy a new company may opt for funding via the same route. Sometimes troubled companies may issue shares to pay off debt in order to improve their financial health. Let’s say an investor owns 100 shares of Arcelor Mittal and the shares are trading at $10 each. The company announces a rights issue in the ratio of 2 for 5, i.e., each investor holding 5 shares will be eligible to buy 2 new shares. The company announces a discounted price of, for example, $6 per share. It means that for every 5 shares (at $10 each) held by an existing shareholder, the company will offer 2 shares at a discounted price of $6. It gives a signal to the market that company may be struggling, which can be the reason the company issued shares at a discount. By issuing more shares, there is dilution in the value of available shares. Share capital increases depending on the rights issue ratio. The company gets positive cash flow (from financing), which can be used to improve its operations. Effective EPSEarnings Per Share (EPS)Earnings per share (EPS) is a key metric used to determine the profit for the common shareholder's on a per share basis. Earnings per share measure each common share’s profit allocation in relation to the company’s total profit and can be calculated based on basic shares outstanding or fully diluted shares outstanding, book value, and other per share metrics decline because of the higher number of shares (see diluted EPSValuationFree valuation guides to learn the most important concepts at your own pace. These articles will teach you business valuation best practices and how to value a company using comparable company analysis, discounted cash flow (DCF) modeling, and precedent transactions, as used in investment banking, equity research,). Market price gets adjusted (after book close) after the issuance of right shares.